The cruroplasty procedure is performed with intravenous sedation and general anesthesia. One technique used for a thigh lift places incisions in the groin, extending downward and wrapping around the back of the thigh. Another technique removes excess skin from the groin down to the knee using an incision along the inseam.You may also qualify for a minimal incision inner thigh lift that involves an incision only in the groin area. Dr. Ricardo Vega will determine what’s appropriate. Closing the incision deep sutures within underlying tissues help to form and support the newly shaped contours. Sutures, skin adhesive tapes or clips may be used to close the skin incisions. How should I prepare for thigh lift surgery? Thigh lift surgery may be performed in an accredited office-based surgical facility, licensed ambulatory surgical center or a hospital. If your thigh lift is performed on an outpatient basis, be sure to arrange for someone to drive you to and from surgery and to stay with you for at least the first night following surgery. You may also qualify for a minimal incision inner thigh lift that involves an incision only in the groin area. Your plastic surgeon will determine what’s appropriate. Deep sutures within underlying tissues help to form and support the newly shaped contours. Sutures, skin adhesive tapes or clips may be used to close the skin incisions. The smoother tighter contouring that results from a thigh lift is apparent almost immediately, although initially obscured by swelling and bruising. Get more information about thigh lift results. During your recovery from thigh lift surgery, dressings/bandages may be applied to your incisions following the procedure. Recovery time ranges from two weeks to a few months. You should limit strenuous activity for at least six weeks. 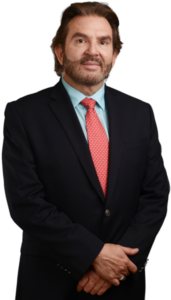 Dr. Ricardo Vega will give you specific instructions for your individual recovery. Following these instructions can help speed up your recovery, and reduce the risk of any post-surgery complications. The results of a smoother tighter contouring that results from a thigh lift is apparent almost immediately, although initially obscured by swelling and bruising.